Grab a glass of vino and toast to National Moscato Day! Every May 9, we celebrate the tasty white wine we can’t help but love. Moscato is historically known as a dessert wine (no wonder it’s so delicious) and is originally from Piedmont, Italy. When you uncork a bottle, you can expect a blend of peachy, orangey, and nectarine flavors. In our book, a drink like that is definitely worth celebrating. Cheers! Invite your friends over for a meal paired with a generous helping of Moscato. The wine pairs deliciously with a crisp veggie platter and a few slices of brie. It also brings out the full flavor of spicy dishes like curry or anything that packs a zesty punch. Turn up the stereo loud and blast a few jams that mention Moscato by name. Get started with Drake’s "Do It Now." Then, queue up the playlist with “Lighters Up” by Lil’ Kim, “Pretty Boy Swag (Remix)” by Soulja Boy, and “Moscato” by Roscoe Dash. Craving another sip of wine yet? There’s nothing better than toasting to a great night (and a great glass of wine) out on the town with friends. Pick your bartender’s brain for a few extra tips about how to best enjoy your Moscato and how to choose the perfect variety. Pals, drinks, and ambiance — what’s not to love? Drake is a Moscato fan! He says so himself in the lyrics to his song “Do It Now” when he raps, “It’s a celebration / Clap clap bravo / Lobster and shrimp / And a glass of Moscato.” Drake isn’t the only hip-hop artist who enjoys a glass every now and then: Lil’ Kim, Jay-Z, and Kanye West have all made references to the beverage in their songs. 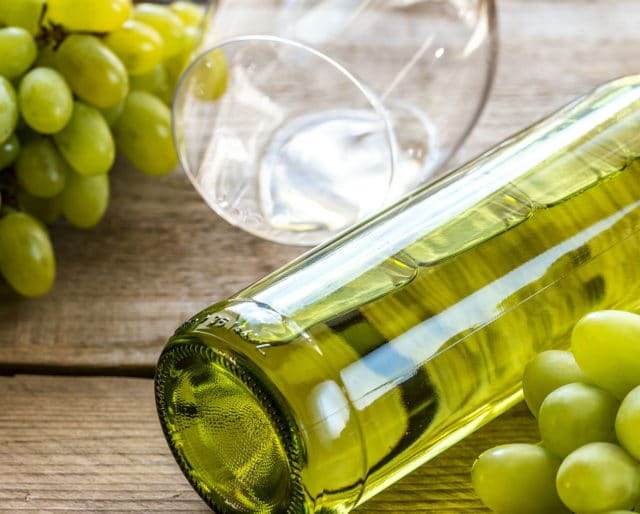 The Muscat grape, which Moscato is made from, is so sweet that it can eaten as a table grape. It makes a delicious addition to any meal and pairs great with food that has a spicy kick. Because of its intense sweetness, it makes a delightful and sweet dessert wine. Moscato is one of the fastest-growing alcoholic beverages in the U.S. In 2012 alone, its popularity increased by 33%, and its fame hasn’t stopped growing since. If thousands of people adore a drink, they’ve got to be on to something.